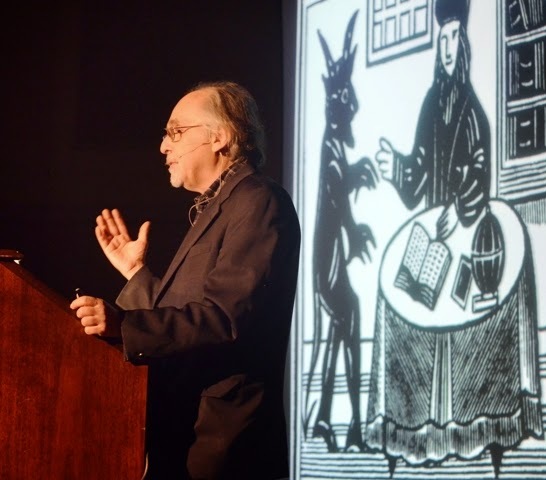 Art Spiegelman began his show, “What the %@$*! Happened to Comics,” Thursday at the Pease Auditorium on the Eastern Michigan University campus with that humdinger of a line, then spent the next nearly two hours explaining what he meant. Deemed the “father of the graphic novel,” by his peers, there might not be a better person on the planet to explain “What the %@$*!” happened to the industry, and why the “future” is behind it. The famed author and illustrator, renowned for his Pulitzer Prize winning graphic novel, "Maus," which was originally published in two volumes. In addition to "Maus," which took him 13 years to complete, Spiegelman has worked as an illustrator creating covers for The New Yorker magazine, and has published several other books. He’s been published as a writer and illustrator around the world, and also created the “Garbage Pail Kids” and “Wacky Packages,” trading card lines while working as a consultant at the Topps trading card company. Bob Eccles, a reporter at the public radio station WEMU, introduced Spiegelman to the crowd prior to the start of the event. 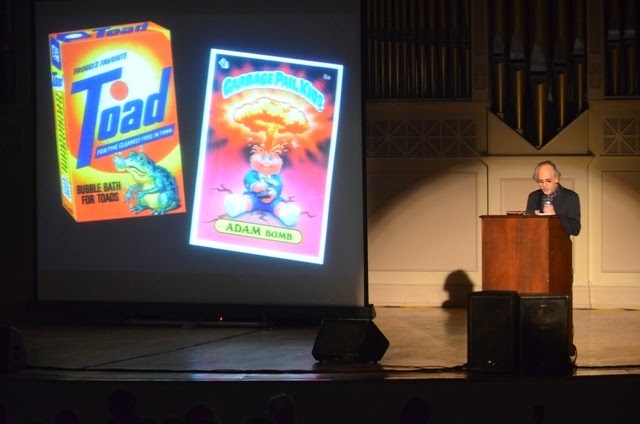 During the presentation Spiegelman spoke on a variety of topics, including a pictorial history of the comics industry, his influences, career and how and why drew some of his most well known pieces. He also touched on politics, world affairs and a number of other topics. Throughout the evening he intermixed colorful language, jokes and life-lessons that only a fan of the comic book industry could fully appreciate. “It’s all been downhill since I was the most influential person,” he joked. “I’ve been involved with reading comics for well over 60 years at this point, and I’ve been trying to learn how draw them almost as long. He spoke on how comic books and graphic novels have grown to be an acceptable form of literature, rather than trash as they were thought of when he first started reading them in his youth. Spiegelman said everything changed around 1985, when comics began to be republished as graphic novels. The Ypsilanti District Library brings a major author to Ypsilanti every year with the help of the Friends of the Ypsilanti District Library and other community groups. This year's visit by Spiegelman coincides with the library's spring theme, "Our Lives, Our Stories: The Greatest Generation." This season will also feature a traveling exhibit focused on the personal stories from the World War II generation, of which "Maus," a story of the Spiegelman’s father's experiences as a holocaust survivor, is a poignant example. More than 500 tickets were sold prior to the show, with an estimated 700 total in attendance including complimentary tickets and walk-up sales. Near the end of his presentation Spiegelman said the future of comics is behind it because that’s where the history is. He expects as digital comics emerge as the prevalent form of comics that current comics will become more of a relic of days gone by.